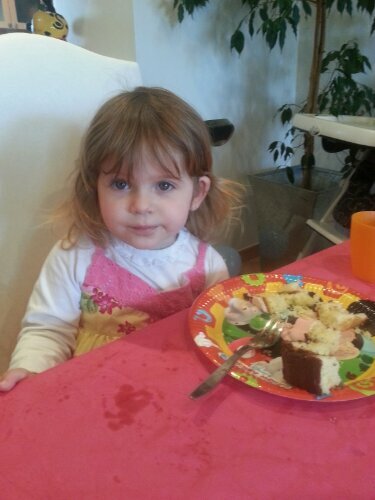 On the 28th April she blew out two candles. I still can’t believe she is two and am somewhat on denial. Somehow we’ve progressed from me worrying about her not drinking enough milk to where she’s going to be going to school. Yes. School. In our part of rural France we don’t have any International schools or Montessori schools and I’m somewhat dubious about the French eduction system and their uncanny ability to break a childs spirit, churning out thousands of carbon copy mini adults all aspiring to be French civil servants. When I watch my daughters creativity, her talent as an actrice and her ability to get her own way, I see a talented individual where others may see an unruly child. Maybe I’m looking through rose tinted glasses or maybe not but either way I had fobbed off the school question for sometime as there was no way that she could go if she wasnt potty trained. But here’s the thing: she trained herself one week before her first birthday and is now clean all day long. So the school question is back on and I’ve learned that you need to enroll really early to get a good one which I’m way behind on. I’m not bothered about her being in the besf school, I’m more bothered about her being allowed to grow and develop naturally but now I’m beginning to get stressed. They say as a parent you never stop worrying and boy is that true. How did you cope with the school situation and at what age did your little one (s) start? Wishing you lots of cheer in the New Year! I can’t believe that I am sat here once again writing a New Year’s post. Okay, so it’s not technically the New Year yet but in a few hours some of you will already be celebrating 2012 and who knows, I may be asleep by the time we welcome the New Year here inFrance. A quick read over my past posts from 2010 and 2011 New Years and I am left with a sentiment that maybe I shouldn’t set my expectations so high. In each post I spoke of disappointments and hard times, last year of ill health and of better times in the past. This year has been awful, let’s face it, aside from the arrival of my gorgeous baby there’s not been much good to report on any front whether it be health, financial or work. Even blogging became tedious as each time I sat down to write I thought of how awful and boring my troubles are and often didn’t bother posting so not to be a bore. No resolutions only one goal and that is to be the best person that I can be in all that I set out to do. How have you found 2011 and what are your goals for 2012? MummyinProvence’s Stream of Consciousness Sunday post last Sunday captured my imagination and inspired me to have a go. The aim is to write freestyle during 5 minutes and then publish without any editing. I feel different now to how I used to. Different things matter and don’t matter. No words can describe how I truly feel but the days of me being care free and selfish have gone. My husband says I have changed, I guess I have. I’ve become a Mum. I’m constantly on red alert, worried that something is wrong. I analyze every gesture, grimace, smile and expression that crosses my adorable babies face, wondering what it could mean. Every movement or activity we do together could mean something to her, so I select things carefully and then feel guilty when I inadvertently leave The Simpsons on and see that she is watching them. I feel guilty when I have a drink too many in the evening and feel hungover and extremely tired. Extremely tired because I’ve been up all night fretting that something’s wrong, again analyzing every sound I can hear over the baby monitor and repeating my mathematical calculations to re-assure myself when the alcohol would have left my blood stream and it would be safe to feed her. Of course, I’d already worked all of this out before drinking the wine but I have become irrational and being a Mum consumes every moment of my life. If you do decide to have a go please leave the link to your post in the comments section below, I would love to have a read. Am posting from phone in hospital so no idea how this will come out! Baby Piglet was born on her French due date of 28th April at 1613, weighing 3.540 kg and measuring 49 cms. She is absolutely adorable and so far is a complete darling to look after despite being born with a fever! Not as big as expected it turnsthe reason for my huge tummy was because she was a stargazer and wouldn’t drop. Her not dropping properly has something to do with my tailbone which is now either bruised or broken, meaning that my bad luck is continuing! But that doesn’t matter as Mr Piglet is doing a fantastic job of looking after her and me! 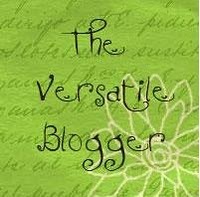 A big thank you to Mere Woman from No Damn Blog for passing on The Versatile Blogger award to me, Piglet! Mere Woman is certainly a versatile blogger, inspiring me each week with her Wednesday Word, Friday Photograph and snippets of her take on life in France. I enjoy reading her blog and learning lots of new things at the same time, all whilst feeling comfortable and enjoying the photos. Thanks to her, I recently discovered that my cats were plotting to kill me so I am now being extra careful. If they don’t get me within the next few weeks (I’m being extra nice to them you in order for them to change their minds) then I will consider that Mere Woman saved me! 1. I was British Junior Ice Dance Champion two years running. It was ice dancing that brought me to France to train alongside Gwendal Peizerat and Marina Anissina. when I was 16. 2. My written French is perfectly appalling, but when I see my French friend’s efforts I realize that it’s just normal. 3. I don’t actually know if I like living in France. I certainly prefer it to the UK but I’m afraid that I always think the grass is greener elsewhere. 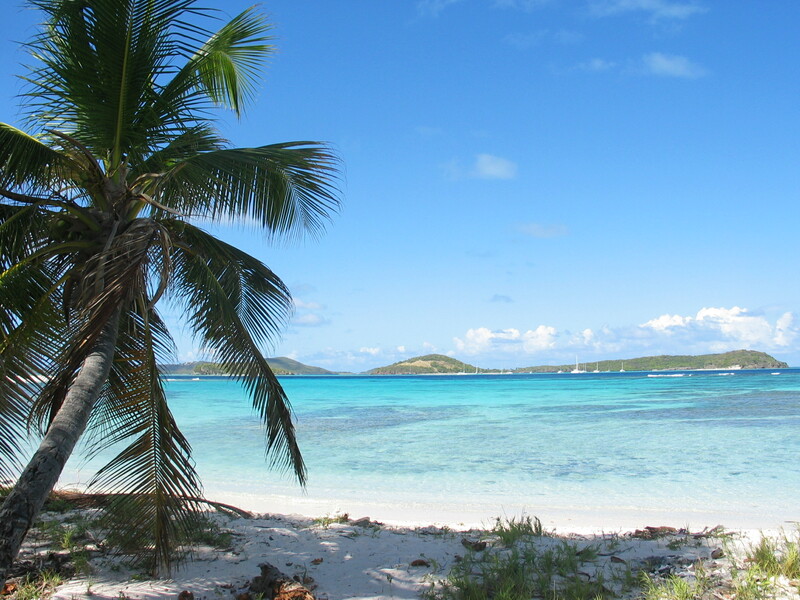 In January 2010 I seriously wanted to move to The Grenadines and had even found a business to buy but eventually decided it was too far away and that it would be better if I could afford to live there just 6 months of the year. 4. I have aspirations to write a book. One day it will happen. 5. I am scared of failure and sometimes to do not have the courage to do things in case I fail. 6. Ants creep me out. The way they march in a parade and manage to transport large objects despite their tiny size scares the hell out of me. 7. I love Jam Wagon Wheels and am gutted that I can’t buy them in France. 8. I hate speaking on the telephone, face to face is fine but over the phone don’t expect to have a very long conversation with me. A psy would probably say that it’s because I am traumatized by endless rude conversations in French and that I no longer associate speaking on the phone with pleasure. Now, I have to pass this on to another versatile blogger, so if she’ll accept I’ll send on to Sarah at St Bloggie de Riviere who has been busy blogging about Slim the Vegetarian Ogre and story building software recently and suggests that we make wine and not strikes! Definitely a lot of versatility going on there! National Identity – What does it mean to be French ? At the moment there is a great debate taking place in France concerning the National Identity and what it means to be French. Apparently the French no longer know what it is to be French, or what being French means and the government wants to bring this to the forefront of peoples mind so to help unite a country which is currently far from united in its traditional values: liberty, equality, fraternity. This is not meant to be a political posting, I do not follow French politics with enough interest to allow myself to comment the political depths of the debate so everything written is my point of view as a British girl living in France. France has a high proportion of immigrants notably from Northern Africa many of which are now second or third generation and live in the “banlieues” a name given for the rough, soulless council run, faceless apartment blocks on the fringes of town. These are places that the tourist never visits; where you don’t always feel safe walking in the day yet alone the night when cars are being burned. These banlieues are at the forefront of social unrest as immigrant families have been living here for years and years and have failed to integrate into the community after being kept on the fringe of society due to where they live. It is a vicious circle and the blocks were originally meant as temporary measures for many after the Algerian war and this is one of the problems dear Sarkozy promised to tackle as President. There has been a lot of racial unrest in France over the years and this has been coming to a head recently as government takes steps to ban the Burqa. Don’t forget that France has serious race discrimination problem in the pasts: In the second to last elections the National Front extreme right got though to the second tour which was worrying to the say the least! So, it would seem that the underlying reason for the debate is to help unite people on a racial front and create a national identity that people are proud to adhere to and which units people en masse. For me, this debate is largely taking place between the politicians and the media as not one French person I know seems to care about it, yet alone really debate the subject, and as the French love a great debate I conclude that their lack of interest in this subject means that’s its not of interest to them. So what does it mean to be French? I am not French although I’ve lived in France for nearly as long as I lived in the UK and for nearly all of my adult life, so surely I should have an idea on what all this being French means (even if I don’t officially have the nationality)? There’s 58 pages of analysis, a whole website dedicated to the debate and a whole media circus surrounding the discussions. But what does it mean? Surely most of the above is applicable to other countries as well? I haven’t found anything in all of their research that truly defines what being French means. 1.	security: possibility to have job security for life if you become a fonctionnaire or excellent employment rights for the common worker. 4.	equality: the affordability of restaurants, you don’t have to be loaded to be able to eat decent food. 5.	quality: quality of life shared by all those that live in France – access to fresh food in markets, French countryside, culture. 6.	either being so socialist that they’re almost communist or so far right that their extreme racists but no political middle ground. 12.	consuming copious amounts of pastries and chocolates and staying slim! So who knows what being French actually means? Hopefully France will move forward and will resolve some of its issues allowing future generations to live united and without unrest. Oh yeah, and this debate that was launched in November has now been ever so quietly dropped as it wasn’t good for Sarkozy’s image… My my… looks as if it was a big waste of time. I’ll just send them my thoughts then! To finish on a lighter note, the French have had great inventors inventing things such as hot air balloon, the battery, the electric iron, the sewing machine… the latest being ROLLERMAN – check him out!! !